Variable Speed Pool Pump or Dual Speed… Which is Best for Me? Recently my wife and I built a swimming pool in our backyard and from a professional standpoint this was such a great learning experience. Building our pool allowed me to test out many of the pool products that I have recommended over the years. During this process I found there were products that I absolutely loved, but at the same time there were a few products that I have recommended on a daily basis that I would not recommend in the future again. One of my favorite items connected to my pool is my Jandy variable speed pump. It is so quiet, gives me great flexibility with my water features and most important it is extremely energy efficient. During the time period that I was building our pool, I also started to participate quite a bit in a few online swimming pool forums and whenever the topic of pumps would arise I would be eager to suggest a variable speed pump. As I commented on this topic I noticed that there were a few who felt that variable speed pumps were not the best choice and in many cases would suggest a dual speed pump. So, I decided that I would dig a little deeper into this topic and I have shared my findings in this blog post. First, let’s start with a basic overview of each of the three types of pool pumps on the market today. The main point of the debate is if you should pay the extra upfront dollars for a pump to reap the rewards of lower operational costs in the future and subsequently how much more should you spend. Should you spend a little bit more on a dual speed pump for pretty good energy savings or should you pay more for a variable speed pump for even greater energy savings and the ability to fine tune your flow rates? Why do dual speed and variable speed pumps cost less to operate? Typically single speed pumps are too big for your pool. Dual speed and variable speed pumps address this wasted energy as they can operate at different speeds. Running your pump at lower speeds for longer periods of time will cost you much less in operational costs than running your pump at a high speed for shorter periods of time. The energy savings that are gained by replacing a single speed pump with either a dual speed or variable speed pump are based on an engineering principle known as the Pump Affinity Law. Without taking you back to high school algebra class, this principle states that the energy savings are disproportionately larger as you lower the speed of your pump. For example if you reduce the RPMs of your pump by 50% you don’t get a 50% energy savings you actually get a 75% energy savings and lowering your RPM by 66% gives you an 89% energy savings. For example if you reduce the RPMs of your pump by 50% you don’t get a 50% energy savings you actually get a 75% energy savings and lowering your RPM by 66% gives you an 89% energy savings. Electricity costs vary widely from state to state and this plays a big factor in determining which pump to choose. You pay for your electricity by the kilowatt-hour (kWh) and the pricing you pay per kilowatt-hour varies greatly from state to state. Dual speed and variable speed pumps use far less kWh than traditional single speed pumps with variable speed pumps using the lowest amount of kWh. If you do not know how much you pay for electricity then this website, The Cost of Electricity for All 50 States, shows you how much you pay. Below I have listed a few of the more popular states and if they fall into the expensive electricity, average electricity or inexpensive electricity categories. Currently at the time of writing this blog post the national average in the United States is 12.29 kWh. Expensive electricity (.30 – .17 kWh) – Traditionally the most expensive areas in the United States for electricity are California, Hawaii, Alaska (a huge pool state), New York and the Northeast. Average electricity (.11 – .16 kWh) – Florida, Michigan, Ohio, Arizona and Texas. Inexpensive electricity (.08 – .10 kWh) – Tennessee, Oklahoma, Louisiana, Kentucky, Mississippi and West Virginia. Do you run your pump all year round? If you live in a warm climate then you will see the potential for greater energy savings than those in cooler climates. This occurs because pool owners in warm climates run their pumps 365 days per year and those in cooler climates shut down their pool pumps for a good percentage of the year. On average pool owners in cooler climates run their pumps 122 days per year. If you run your pool pump 365 days per year in a warm climate then this would be equivalent to three pool seasons in a cooler climate! The proof is in the #s so let’s dig into the #s a little deeper. Below I am going to run through a few examples showing the operational costs for a single speed, dual speed and variable speed pump. Hopefully this will illustrate how much of an impact electricity cost and climate come into play when determining your pump. If we take the average size pool of 22,000 gallons and use the guidelines of turning your pool over once per day we come up with the following #s.
Note: Example above is using National Avg. for electricity of 12.29 kWh if you live in a state with expensive electricity like California then your savings will be far greater. Calculate exactly how much your pool pump will cost to operate in your state. Note: Example above is using National Avg. for electricity of 12.29 kWh if you live in a state with expensive electricity like New York then your savings will be far greater. Calculate exactly how much your pool pump will cost to operate in your state. In warm climates you will run your pump 365 days a year meaning you have more opportunity for energy savings. In areas where energy is expensive the payback will also be quicker. If your pocketbook can take the additional upfront cost of a dual speed or variable speed pump then I would always suggest one of these pumps as the payback on average takes six months on a dual speed pump and 15 months on a variable speed pump. In general my suggestion would be based on if you live in a warm climate or cool climate and secondly if you have expensive energy costs or cheap energy costs. There are quite a few other considerations apart from cost of operation that you will want to consider to help you determine if a dual speed or variable speed pump is right for you. Below is a list of these considerations. Power companies are offering rebates as high as $400 for switching over to a variable speed pump. In many cases the power company rebate can make a variable speed pump cost less than a dual speed pump. Make sure to check if your power company offers a Variable Speed Pump Rebate. If so, then it may be a no brainer to opt for a variable speed pump. If you have a lot of bells and whistles connected to your pool like waterfalls, a spa, water features, etc. then I would suggest a variable speed pump as it will allow you to control your water flow for each feature. Keep in mind your pipe size when selecting your pump as the diameter of your pipe will affect which HP pump you can use. Smaller pipe sizes may not be able to handle large HP pumps. Here is a guide showing the GPM ratings for the most common pool pipe sizes. This means that if you went with a 3 HP variable speed pump that can output 150 GPM and you only have 1-½” pipe which has a max flow rating of 60 GPMs then the majority of the higher speeds of the pump will go unused as the plumbing is unable to handle this high flow of water. A consideration when looking at dual speed pumps is that in most cases you will need to purchase a separate dual speed timer. The price of this timer ranges between $140-$200 based on your current set up. 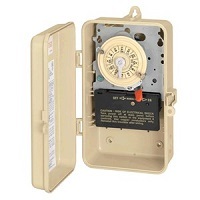 If your pump is turned on and off by a standard yellow dial timer then you would go the $140 route which is a second timer which controls the switching between high and low speeds where your original timer would be for turning power on and off to the pump. If you don’t have a timer for your pool or your project is the construction of a new pool then you would need a two clock timer which is the $200 timer. In most cases for pools with automated control systems an additional timer is not needed. There are a few systems like the Jandy Aqualink which require a special dual speed relay. How old is your pump? Are there visible signs of damage to your pump housing? Are parts available for your pump? Typically the larger the pool size the larger the pump which means the operational cost is going to be higher than a smaller pump. So with larger operational costs comes larger operational savings tipping the scales in favor of a variable speed pump on large pools. As mentioned earlier one of the key benefits to a variable speed pump apart from operational savings is the ability to control the flow of the pump. This feature comes in very handy if you have water features connected to your pool. Many of us like the latest and greatest items on the market. I typically fall into this category. If you wait hours in line for the newest iPhone then you may be a prime candidate for a variable speed pump as they are pretty cool. It is neat to be able to dial your pump into the exact RPM needed and hear the pump ramp up or dial down. If your neighbors are complaining about your pump’s noise then a variable speed may be the way to go. Variable speed pumps are quiet because the motor is Totally Enclosed Fan Cooled (TEFC) meaning that it is much quieter than a single speed or dual speed pump. Often when I have had my pump on at very low RPMs I have to double-check that it is actually on. Your pool pump is most likely the most expensive energy consumer in your house so it makes sense to explore options on how you can minimize this expense. In almost all cases I believe that it makes sense to go with a dual speed or variable speed pool pump over a single speed pump. When choosing between a variable speed pump and a dual speed pump the two most important factors to consider are the cost of your electricity and how often do you use your pool. Comment below with details about your swimming pool and details about where you live and we will help you determine which pump type is best for you. While I agree with you the variable speed pump is generally the way to go, much of the $ savings is lost if you have solar panels to heat the pool. The more water going through the panels the more heat they make. You can’t run the pump at slow speed and still pump water to the roof. The variable speed pump is annoying in how easily it shuts off. Turn on\off the pool vacuum and the pump shuts off. It’s also (I feel) excessively hard to program or change the run time on. Zero usability work went into the on-pump menu for it. Michael, very nice post. I agree with the trouble of having a solar system on any pool; the necessary power to reach the panels almost offsets the savings of a variable speed pump. The key is dialing in a pool temperature or heating schedule that optimizes the heating capability of the solar panels. For example running it only at the hottest times of the day or lowering the temp that activates the solar panel heating system. Are you sure you need the full strength of the pump to read the panels or can the RPMs be dialed back to save money? As for the pump scheduling, the few pump scheduling programs I have seen have been relatively simple. What is the make and model of your pump? Maybe we can figure out what the issue may be. I have an older pool with 1.5 inch pipes. I live in Florida and also recently bought a heat pump for the pool to extend my pool life. My pool originally only had one inlet. I added two more and just resurfaced it. Now I need a new pump. I know it can only take a 1.5 hp pump. I have heard about how much savings a variable speed pump. Will a variable speed pump work on my pool. It is a 23,000 gal pool. Yes, a variable speed pump would work for your application. 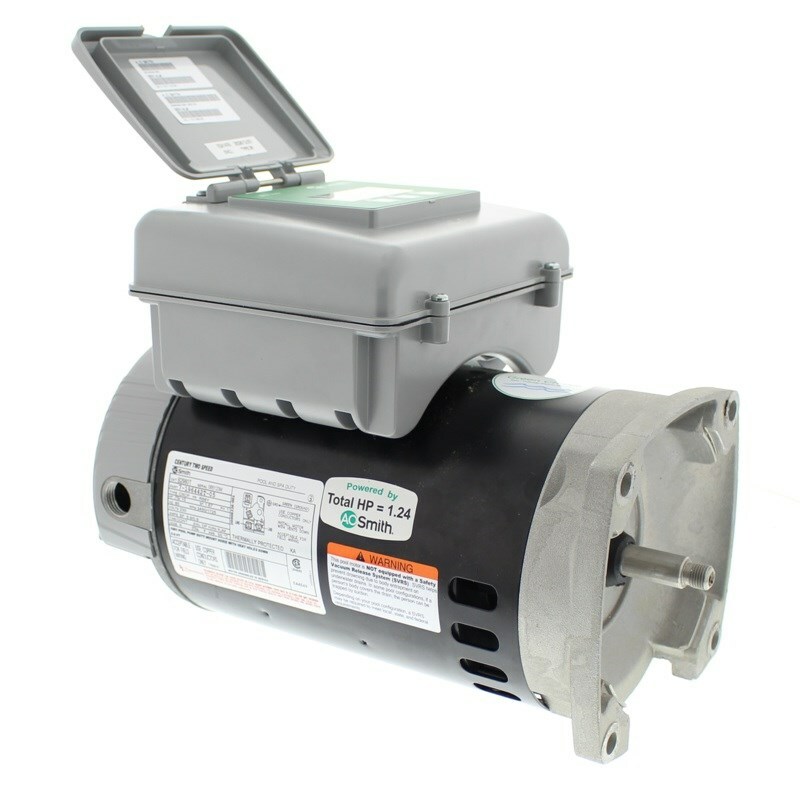 Variable speed pumps should work for most pool applications. It is my understanding regarding solar heating, that once the water starts back down from the roof, a siphon effect takes over and the power needed to lift the water is greatly reduced. Run the VS pump on a prine cycle for five minutes, long enough to establish the solar system, and then back it off to a more economical flow. I originally thought you were right. After a few repairs on my roof, I found avacuum valve. This allows the water to drain from the panels. So I believe the pull of siphon is cancelled by this vacuum valve. I installed a flow meter on my 3hp system with solar on the second floor roof. 85-90gpm without solar, 65-60 gpm with solar. I am in the process of swapping out a single speed motor for a variable speed motor. I am in California. Do I need to have a timer on a 2-speed motor according to CA law? Brian, that s something you will want to check on with your local home inspector or whomever enforces the codes in your area. Codes vary a lot from area to area so it best to speak with a local technician or inspector for a current/up-to-date answer. Mike, there are frictional losses due to the piping and fittings. You also lose a lot of pressure across the filter element. Depending on your set-up, these can be quite large. Angonizing decision. This excellent article takes the argument of why one should not go for variable speed pump. Difficult decision when energy savings would not be fully in older pools with intake pipe of 1.5 inches. I realize I am not going to use just $10 worth of electricityper month but 50% would be helpful. I have single speed motor that I am advised costs $100 per month. Thank you very much for this informative article. again a variable speed pump can be dialed in for your pipe dia.. therefore at a lower speed comes savings that far outreach initial cost of pump. Most utilities have a higher rate also for max amount of amp spike. ex. if your pool pump starts up the same time you start up your dish washer, or cloths dryer. A single speed pump last about 7 years whereby a vfd pump will last over 10 years. Just replaced single speed pump motor with dual speed motor. Not much difference in noise as both seem fairly quiet. Although properly grounded…..A close proximity lightning strike took it out. Motor was 14 years old and set to run 7 nights a week from midnight to 4 AM. Also runs when using pool and during maintenance. My preference would be the Variable speed option, but I would switch out the EcoStar for a Pentair Intelliflo. I have taken too many calls concerning the EcoStar’s finicky controller, plus the IntelliFlo is less expensive in most places. The three choices above are for the main pool pump (not the water features)! I have an older pool (40 years) that needs a new pump. I am trying to decide whether to get a dual speed pump, or a variable speed. I live in Wisconsin, so only use the pool about 3 months out of the year. I am also planning to move within the next year. Would it be worth it for me to put in a variable speed pump??? For your situation, it would not make much sense to invest the money into a variable speed pump. I would go with the dual speed pump. There is no need to throw money into a pool pump you will be unloading in a year. Why throw the money into a dual speed pump? If you will only be using the pump for 3 months and then selling, it makes no sense to put money into it. Just go with a single-speed pump. Hello, thanks for this article. We have a one speed pump, fro a 15,000 gallon pool. We just moved in, so we’re trying to figure out whether a variable speed pump might be a good switch for us. Any input? We live in Southern California and so will be running the pump all year round. If yes, any input on brand? Thanks for your help! Sarah – a variable speed would be a great option for the Southern California area because of California’s high energy costs and energy rebates. Because California is so energy conscious, power companies will offer rebates to homeowners installing variable speed pumps to offset the higher cost of the pump. These rebates can reduce the cost of a variable speed pump down to the cost of a single speed pump. Then you add the operating cost savings of a variable speed. Eventually, it pays for itself. If you plan on replacing the whole pump, I suggest the Pentair IntelliFlo. But if you just want to replace the motor, I suggest the Century V-Green, Part One & Two. Hi Matthew. I live in Arizona. I have a 35k gallon pool with a large Water fall feature. Currently have two pumps…one for the pool and 2 hp for the water fall. I just purchased the Pentair Intellflo for the pool. Can I use the new Pentair intelliflo for the pool and the water fall? You can definitely use it for the pool, but I have doubts trying to use one pump for both. Those two pumps can probably put out a good bit more water than even the Intelliflo. Plus the replumbing necessary to make it all work would probably be extensive. I would add the Intelliflo to the pool but keep your waterfall pump. I have a variable speed that I paid $1,200 for it last me two years now it’s completely dead, do your research before you buy it. Do you have an idea about why it died? We plan to buy a home in Riverside California.The house has a pool and the pump is 15 years old.We are not sure if we need to change the pump.I understand that we need to run the pool pump 365 days.The is also a spa. If I buy a new variable pump does it include the motor as well.If not would I have to buy a new motor as well.How much would it cost to change the motor and the pump.Which model would you suggest? Here is our varaible speed pump section, the motor is included with the housing. 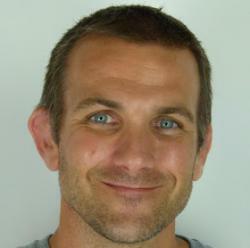 John – call our customer support line (877-372-6038) and a rep can help you out. I live in Houston Texas and my pump just went out on me; My pool size is only 11,000 gals; The energy cost here is approx. 9-10 cents per kilowatt. can you advise me on whether to go with a variable or dual speed pump; Also which model and brand; Also can you advise me on how do I find out if there are any rebates from our local electricity company. thanks! Also, rebates are dependent upon your electric company. You will need to call or visit the electric company’s website for details. Why do you not like the Hayward variable speed pump? I live in Vero Beach Fl with an older 10,000 gal pool. I am adding solar panels on the roof, and I want to replace the old Jacuzzi pump. I hope to use the pool year around once the solar panels are installed. What pump would you recommend? I suggest using a variable speed pump, because it gives you so water flow flexibility. A variable speed can be run on lower revs for normal filtering and when you activate the solar panels you can up the flowrate. Variable speed motors are also more durable than the induction style single and two-speed motors. I live in Las Vegas. 37000 gallon pool. 2 inch line. Salt system with a triton 2 sand filter. I am looking options for a variable speed pump. What is recommended. Also have a gold line aqua-logic control for the system. Thanks for any help. If you want a variable speed pump that interfaces with your salt system then I suggest the Hayward Eco-Star 2.7 HP or the PureLine Prime 2.7 HP. The Pureline is a fraction of the cost of the Hayward, while having similar flow rates. I live in Northern Calif. and have a single speed motor on a 25k gallon older pool with 1 1/2 inch pipe. I run it from April thru October. Wondering if a variable speed is right for me. 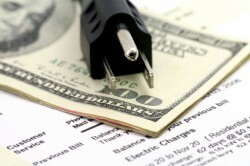 As Patrick covers in the blog, it depends on utility company rebates, electricity costs and the demands of your system. The first thing is, the 25k gallon an accurate assessment of your pool size or is it a guesstimate? Then, we have to figure out the feet of head of your pool to determine what flowrates you can get with the smaller 1-1/2″ pipe. Read this article on how to calculate feet of head. Utility companies also have a rebate section on their website to help you determine if the pump you’re interested in is acceptable. If their website is not helpful, give them a call. I have a buddy who has a brand new Jandy VSFHP165JEP 1.65 HP variable that he will sell me for $400 ( he paid $900)……. Figured my single speed is getting old and it might makes sense at that price and with really high elec rates here in Northern California…… thanks again and I wll check with the energy company about a rebate…. OK, so here’s where i am confused. All the literature and ads for variable speed pumps seem to state that the energy savings come from the ability to program the pump speed to an “optimum” value. But what I can’t find is how one determines what that optimum speed is. It would seem to me that a variable speed pump programmed to the wrong speed(s) is no better than an old fashioned single or two speed pump. So what gives? is there a magic formula or what? Optimal speed is finding the sweet spot where you are running your motor on the lowest settings to maintain your’s pool normal water quality. If you look up the Law of Affinity, it essentially states, RPMs and amp use are not comparable. A motor running at 3450 RPM may run at 15 amps, but when you cut the motor to half speed at 1725 RPMs the motor will only be using 2-3 amps, not 7.5. The point of the variable speed is to give the user a better way to throttle the motor, allowing for maximum savings. A variable speed are rarely set to 3450 RPMs because it negates the point variable speed drive. Variable speed is by no means a plug and play motor if you want to peak savings. There will be a feeling out period where you run the pump at an RPM setting for a few days, check the water chemistry to make sure everything is still in check. If the levels check out, then you can take another step down, and keep doing so. When you reach an RPM that causes the water chemistry to take a nosedive, you can attempt the same RPMs with a longer run time or go to the previous steps RPM. There is no magical formula because every pool is different after you factor variables like pool size, feet of head, and chlorine demand, and bather load. you will also see savings over the life of the motor, because variables speeds could last 10-15 years whereas the new single and dual speeds motors only last 3-5 years. I need your opinion on a really important issue I am having with my next door neighbor’s pool system. I hear a low frequency humming in my home 24/7 so I hired an acoustical engineer who determined it was potentially my neighbors pool pump system. We cannot confirm since they are not willing to work with me. All I know is something is running 24/7 over there and the problem began when it was installed. They told me it was a very expensive system and they will not even turn it off long enough for me to determine if it is the source. The pump runs all winter with a tarp and potentially a heater (I’m located in PA). I notice it gets louder in my home around 10 pm to 10am, so I thought it might be on a timer. That’s how I found this blog. Can someone please tell me if a pool pump/filter system can cause low frequency humming in my home. I really appreciate any help you can provide. Too bad your neighbor will not help you figure out the issue. I could not tell you one way or the other if it is the pool pump causing the hum in your house. A pump motor with bad bearings creates a noise that would drive anyone batty. A loud hum could be a bad capacitor issue. But again, this is not really a pool question, so I am out of my depth. You might want to try TroubleFreePool.com; they seem to answer a bunch of out-of-the-ordinary questions. From what I understand with variable speed, the approach is to turn over the pool water as slowly as possible, meaning running the pump for 8 hours or maybe more. I’m considering taking the opposite approach. To take advantage of power provided by photovoltaic solar panel, I’d want to try to turn over the pool by running an oversized HP pump during peak solar hours, say 10-3, so only 5 hours or so. Would variable speed provide any benefits under these circumstances? Located in warm climate & expensive energy. If you’re only running the pump 5 hours a day and only on high speed, it does not seem worthwhile to install a variable speed pump. Save the money and get a single speed pump. What size lines do you have, 1-1/2″ or 2″? Also, do you know the feet of head of the plumbing, before the pump? 2″ lines. I do not know about the other. The size of your filter is another factor that can limit your HP options. With 2″ pipes, your system should be able to handle any pump you put on the system. But it is a matter of whether your filter can handle your pump’s output. Even though you will likely be running the pump on low speed, you will have occasions where high speed is necessary, this makes the filter’s capacity important. To figure out your pump’s flowrate, you need the pump model and HP (we got that) and the feet of head. The feet of head is a measure of how far the pump has to pull the water. The higher the feet of head rating, the lower the water flow. For a guide on how to measure this, read this guide How Do I Calculate Feet of Head for My Pool? First of all, thanks so much for all of your expertise! Our filter is the Hayward Pro series S270T and the flow rate listed on the side of it for filtration and backwash is 74 GPM. As far as the feet of head, I will gather that data based on the informative link that you gave me or maybe I have that in the original pool paperwork somewhere. The pump that I was considering was the Hayward Super Pump 2HP but I was leaning towards the 2 speed. Yeah, those fancy variable-speed pumps look great on paper, then you get hit by an electrical storm and the thing fries to the tune of $500 to replace the keypad and “brain.” Coincidentally, that’s about the price of an entire well-made two-speed pump. In most areas of the country, a lightning strike is not too common. Down here in Florida, we have to worry about that more than most other places. You can install a surge protector to protect your pool equipment from such instances e.g., Pool Equipment Surge Protector 120V / 240V – PS3000.Also, install a bonding wire, which can help with stray electricity as well. Coincidentally, both of those combined are significantly less than dual speed pump. I have a 13,000 gal pool in Phoenix and had a new variable speed pool pump installed last year. I would like to turn the heater on to bring up the temp to 82o. Do I have to run the pump on high speed during heating cycle? What is the most economical settings for heating the pool so I can swim in the afternoon. Heaters have a minimum flow rate requirement, that varies on the model. If your flowrate is below the set requirement, your heat pump will not turn on. For single and dual speed pumps, flow rates vary depending on pump model, hp, and feet of head you would need to use your pump model’s pump curve to get the answer. Because it is a variable speed you can find out pretty easily by gradually easing up the speed to find the flow threshold. Putting in a new pool,18,000gal. Thinking about a D E 4820 filter with 1HP sp32102EE dual in ground pump OR would it be better to use sp2607x102s dual in ground pump? With that I would use 2″ pipe. Maybe you could recommend anything that would work better,also wanting a heat pump??? The SP32102EE is the pump that could push the most water, so I would go with that one. I have 3 pumps for my system. 1 for the filter, 1 for the floor system and one for the water fall. Is 1 vari-speed enough to handle all this or should I get dual speed or stick with what I have? This all depends on the water flow demands of your system. If your combined water flow needs are 150 gallons then a variable speed is not going to be your choice. Plus if you get one variable speed pump, you will need to replumb your system to divert your water flow from the old pumps to the new single pump. The situation does not seem feasible. You can try a dual or variable speed as a replacement for the main pump since that is likely the biggest consumer of electricity. The other two are better left to single speed, because the waterfall and in-floor cleaner require a constant rate of flow. Hello, purchasing a home with a 16 x 32 ft pool. It currently has a 1 Hp super pump and is kept opened year round with the pump running 24/7. I’m planning on converting to a salt water system and am debating between switching to a variable speed Pentair at the same time. The other debate is if I keep the pool open all year or spend additional money on a solid cover. The town has an average electricity cost of 11.4 cents and the average yearly temp is 60 degrees. Any thoughts on closing vs not closing in addition to a recommendation on switching to a variable? It would help to know where you are in the country, also if you plan on swimming. If you don’t plan on swimming and do not want to be concerned with the pool maintenance (though it would be minimal in winter) then I would close it. It really is personal preference, either way. I have a 10-12,000 “unsure” gallon pool in which the previous owner had Hayward SP3400VSP. The pump seems to have died (flips the breakers when started. Now I must choose Pentair VS or dual for the florida climate. I have been told by two companies, its overkill for the pool size to go single speed. However, energy cost is high concern. Your thoughts or recommendations? no features or spa exist, just a salt system. Now that Variable speed motors have been out for awhile, prices are starting to come down. if you want to stick with a variable speed, but not pay out the nose for it, go with a Pureline Prime. It costs just a little more than a single speed pump but the motor is a quality Century-AO Smith brand. The dual speed replacement motor would be the STS1152R. The RS4 should be able to control this motor. If you go dual speed then you will need to upgrade your relay in your Aqua Link from the standard pump relay to a Dual Speed Pump AquaLink Relay. I am building a vinyl inground pool and I live in NJ. My PB does not recommend a dual speed or VSP. I will be incorporating a heat pump. He says the pool will not be heated properly. A heat pump has a minimum flow rate it requires so it can properly transfer heat, this may be what he is talking about. He may be right on the dual speed because you only have a high and a low. But a variable speed allows you to dial in your flow rate so that you can hover around that minimum flow rate to save money on your utility bill. In the summer time when the heat pump is not a factor, you can dial back your variable speed to accrue even more savings on your utility bill. in Dallas, we have a Pentair IntelliFlo and the pool company set it at 3400rpms for 10 hours. This defeats the benefits and our investment of a variable speed pump. My husband altered the rpms to 1400 rpms but the equipment keeps tuning off with that setting. So we’ve increased it to 2800rpm and the system works. Isn’t it odd that the system won’t support a lower rpm setting in Auto setting? Pool equipment like heaters and salt generators have a minimum flow rate required for the unit to operate safely. If the flow drops below 15 or 20 gallons per minute then the unit will shutdown to protect itself. RPMs does not guarantee a flow rate and this is due to differences in each pool’s plumbing, or “Feet of Head.” If you install a 3 HP Intelliflo on two pools, one with 40 feet of head and the other with 100, the 40 feet of head pool will see a much higher flow across the whole scale of RPM settings. Also, which IntelliFlo do you have? Is it the standard 3HP or the 1HP? My single speed motor just died (20+ years!). Had it replaced with a dual speed motor. I was running the system 10 hours / day with the single speed. How many hours do I run at low speed and how many at high speed now? Pool is in Arizona, 32000 gallons, want to avoid running between hours of 12pm (noon) and 7pm, due to electricity rate increase during those afternoon hours. Great info Matthew! My need for a VS pump is a little different. My pool builder installed a 2nd pump for my catch basin which runs 24/7. Wind pushes water into basin and overflows. So, keeps water balanced. Also, use it when kids are splashing about. Currently have a dual speed pump. Its going out so am looking into VS pump to replace. This 2nd pump has a DE filter on it as well and also serves the water fall feature (in high mode). Normal operations have this only 10 min/day at high speed (and on high speed when activity in the pool). Pool is 22K gal and I’ve calculated daily cost to run this dual pump is $1.73 (again, primarily in low speed mode). Does it make sense to go with a VS option since I usually run my 2 speed pump at the lower HP (.33) and RPM (1725)? Also, my research suggests that my Aqualink RS controller would only program 1 high and 1 low setting regardless of a VS option (unless I purchase a Jandy VS pump). Any thoughts or just replace the dual speed motor? I live in Sacramento, ca. Bought a home with a 13th gallon pool with a single speed pump. I also have solar heating for the pool. I run the pump from 11am to be 5pm daily may thru october. Winter time run it very sporadically. What kind of pump would work for me. My choice would be the variable speed because you can dial in the RPMs needed operate your solar panels. Ideally, this would give you options to run your pump at optimal levels for water flow and utility costs, without restricting you to just high and low speeds. New 22K gallon pool with infinity edge plus spa with 4 deck jets ,two fire bowls and two bubblers. My contractor isn’t familiar with variable speeds pumps but insist Jandy Stealth dual stage is the best for my situation. 2 inch pipes but 3 inch for main pump. My home is built very energy efficient and I want the most efficient pumps for my application living in New Orleans where we could swim almost year around. I was thinking Hayward ecostar but seems like they have to many manufacture problems so I’m leaning toward Pentair . What do you think? And seem like he’s in love with Jandy controller also. I prefer the Pentair Intelliflo over the EcoStar because of those exact reasons. The EcoStar’s controller has shown reliability issues, which is not good because it is an expensive part to replace. Variable speed are ideal for installation like yours because you have so many combinations flow rates that are possible with those water features. A variable speed can give you the optimal waterflow for each of those while also saving you money. A dual speed limits you to high speed or low. But what if your most efficient water flow falls between those speeds? The low is too slow, and the high puts too much water through your jets. The variable speed is the Swiss Army Knife of pool pumps. I have a dual speed for a fairly small in-ground pool with a waterfall in Florida. Recently it began the annoying habit of stopping every day at noon. I thought it was the Duke Energy saving device on it, but they told me it wasn’t them. The company that does maintenance on our pool has determined that a heat sensor on the motor is over heating and turning it off. I can restart it after a half hour, but it runs for a little while and stops again. They just sent me two options – a dual speed for $585 or a variable speed for $1400. From the information in the article and comments from readers, I am leaning toward the dual speed. We are retired, on social security and don’t see amortizing the upfront cost in a reasonable time. Your thoughts? They are saying you need to replace the whole pump and not just the motor? Does the cost also include labor? My opinion, you can save the most money by replacing it with a like motor and a few gaskets instead of the whole pump. If the pump housing does not show signs of cracking and is not leaking, go with the motor. Does your pump housing look to be in good shape? Sorry I forgot to type my name. Jim in Eustis, FL. I’m in the ac buisness here in Apopka FL, I’m not a fan of variables, they are expensive upfront and they are easily taken out by power surges ,here in fla happens all the time, new high efficency ac units come with variable speed blowers, we change them out constantly. If you spend more upfront and it’s goes out of warranty, replacing can be $1000.0 that takes all your savings right back!!! My 13 year old Jandy stealth motor just died. I am contemplating just replacing the motor but I have been entertaining the leap to variable speed for the past 3 years. My main concern is the price tag but I am also concerned about having solar heat and the panels being on the roof of a 2 story house. I also have a pool sweep and waterfall running off the current single speed pump (when it still worked). I live in Sacramento and the pool is 18,000 gallons. What are your thoughts? New motor for the single speed or venture to variable? Well, you’re in California so there is a good chance your utility company provides rebates to help offset the jump in price. A variable speed pump like the Pentair Intelliflo is like a Swiss Army JKnife, it can fit almost any application with solid results. You did not list an HP of your current pump, so I do not have a frame of reference of what your system is like, but the IntelliFlo is 3 HP. So unless your single speed pump is a 5HP model, I think the variable speed would be a good option. My pump says 2HP but the motor says 1HP so I assume I am on 1HP. I currently have a quote for the sta rite intellipro VSF and a solar touch panel for the solar. Will I need to run the variable at a higher rpm to keep the sweep and waterfall moving? I do understand the logic with the solar and the new panel, i.e. Only turning the solar on when needed and the rpm ramping when it’s on then back down when it is off. My main concern is not having as much in electricity savings with the waterfall and sweep? A variable speed will usually need to be on the higher RPMs to run a pool cleaner, and especially if you are coupling it with a waterfall at the same time. But you likely not need to run on high speed. Your motor and pump situation doesn’t really line up unless someone changed the motor and impeller (possibly even the diffuser.) The more features you tack onto the plumbing, the higher the RPMs will need to be set; meaning, less savings you are going to get, that is just a fact. But the variable speed allows you to squeeze as many savings as you can, by throttling the motor.Even if you are skimming off 700 RPMs from your single speed, the cents add up. I bought the house 4 years ago so I have a feeling someone had changed the motor prior to that. I haven’t had any issues the past 4 years so I assume the hp is ok.
Hello, I just bought a home in Florida that has a small pool. 8500-9500 gallons.. it has a single speed motor now. The house has a few solar panels on the roof.. however it’s warm enough most of the time here in Florida that I don’t think it would be necessary to use them all the time. I went to the pool store today and they were telling me to go with the 3hp jandy variable speed in order to have enough power to push the solar.. but it could dial way down when not using solar. I’m also converting to a salt system at the same time, another new jandy setup. They are offering 20% off both with 3 year warranty. What are your thoughts? Thoughts on which part? The hp sizing or the three-year warranty? My pool has two single speed Whisperflo 2hp motors (1 pump for filter or spa, and 1 pump dedicated for the waterfall), one spa bubble blower, and one booster pump. Could I at least replace both 2hp motors and potentially the spa bubble blower with a 3hp InteliFlo VSP (those 3 pumps are the loudest)? I’m assuming the plumbing is viable. Jack, this is not a question I can answer because I can’t see your plumbing nor know any of the vital info needed. You might want to try TroubleFreePool.com Forum. You can post pictures of your plumbing, pipes runs and equipment. Thank you. I’ll give it a try. We need to replace our pump and I have talked to two pool repair companies. Both suggest a variable speed pump-which I am not opposed to as they say it is very energy efficient. Our pool is 16 years old, appx. 20,000 gallons and has a sheer descent waterfall. We also have solar panels. We live in No. California where it’s hot and we run it from April to October. One vendor is suggesting a Pentair SolarTouch controller and the other vendor is saying that is not going to be energy efficient and suggesting an “EasyTouch with screen”…which is estimated at $1500 compared to the estimate I received for the SolarTouch of $400….What is the difference between the two? I’m not sure what i need. I have to replace my pool pump and want to know if I should get a variable speed pump. I have a rectangular 20,000 gallon pool with two return lines and no water features. It is hooked up to a solar panels on the roof. I live in Southern Californa. Because you are in Southern California your local utility company may offer rebates that offset the cost of a variable speed compared a single speed. Contact your utility company or refer to their website for info on variable speed pool pump rebates. I wanted to clarify- Is it better to go with a variable speed pump over a single speed? Take into account I don’t have any water features. I have solar heating. It is a rectangular 40×20 pool. What would you recomend? I would like to replace my 2 HP Jandy pump with a Pentair VS pump. My two main considerations are a caretaker cleaning system which requires 14- 20 psi in order to work properly and a Pentair SWG. Will I be able to run the VS pump at low enough rpm to see any actual savings over the single speed pump? Can you please update the article to explain exactly how the variable speed motor saves money? For example: If I have a pool with a bottom cleaner connected to the skimmer, and a solar heater on the roof, a certain amount of pump speed/suction/pressure is required to 1) push the water to the roof, and 2) provide sufficient suction to make the bottom cleaner operate. The way I see it, my pool requires a certain fixed speed for everything to work properly. Why then would I need a pump that changes speeds? Do I have to program a VS motor to the speed that is best for my equipment? If so, if that needed speed is the same, or similar to, a fixed speed motor, then why bother paying more for a VS option if there is no energy savings? How is one to know? I live in the DFW area of TX and have fairly inexpensive electricity rates – currently about $.07 kwh. I have a single speed pump that only runs water through the DE filter and gas heater (which is used to extend the season), no waterfalls, fountains, etc . The Polaris Pool Sweep has its own booster pump which runs less time than the main pump depending on its need and the time of the year. Is a variable or dual speed worth me considering now or when I need to replace my pump? Ok, but what is the size of your pool? What is the model number of your pump; and/or how long does your current pump run in a day? What is the size of your filter? I am considering a variable pump. I have 1 1/2 pipes but I have a 2hp pump and had to change the connecting pipes to 2 in to mate with the 2hp pump and motor. If I go to a variable should I go back to a 1 1/2 HP pump? From what I have read here the 2hp motor can’t get enough water because the underground piping is not able to supply it. I live in southern California and the size of the pool is about 18,000 gallons. It sounds like it would be more efficient to change the above ground pipes back to 1 1/2 in. And purchase a 1 1/2 variable speed pump. Right? Great thread! I have an older 30+ yrs filter system, American KDI. I was told if I were to change to a new variable pump I would have to do all new plumbing and filter system. Is this true? It seems from this thread you believe that I can just replace the pump or the just the motor and get a good result. You shouldn’t have to replace the filter system and piping to put in a new pump. 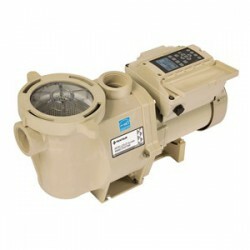 Variable speed pumps can be installed for almost any application. The VS’s slide scale for water flow allows it to be adapted to a wide range of system requirements. You may be able to only replace the motor, but that depends on the model of pump. I am not sure which American Products pump is in a KDI package. I need to replace my single speed pump. My repair guy says he can replace my single pump with a variable speed pump, but my control panel doesn’t support a variable speed pump. It is an older panel, but fairly sophisticated in that it supports the pool, spa, and heater. Does this sound correct? It would help if you gave a model number or make and model of the panel. And variable speed motors have the mounted control, so most pool owners should be able to set the run times and speed then let it handles its work unfiddled with. Hi… I have a new 12,300 gallon pool installed in Florida with Variable speed Jandy pump. After initial 3 day startup the pool company recommends 12 hrs/day at 3200 RPM. Still seems like too long and too high to me but I’m new to all of this. I’m trying to research to figure out what RPM/run time I will need. One guy said he would never run it at lower then 2800-3000 RPM’s once we figure out how the pool will take after the first 30 days. Doesn’t make sense to me why I would even have all these lower RPM options then. Any advice at all for a newbie? Using RPMs is an imperfect way of throttling waterflow because feet of head measurements can vary vastly from pool to pool, even if they are the same size. Click the link for an explainer of feet of head. For example, 3200RPM on pool ‘A’ may pull 50 gallons a minute (GPM) but Pool ‘B’ with a shorter feet of head can pull 65 GPM on 2500 RPM. Extend the run time by two hours but drop the RPMs by a 1000 and let it run for a couple of days. Test your water at the end of the two days to see how it is reacting. If all is well, keep lowering the RPM and testing the water until you see a change in water chemistry. When the water starts to turn, extend your run by an hour or so. Keep playing with the RPMs and runtime until you find your max savings. Even though it is Florida, and is still relatively warm down here, you should wait until temps start hitting 80 to start nailing down pump schedules. There is not enough heat or rain to give you an honest assessment about the schedules you will ned in May. We have a 25,000 gal pool and live in Kansas. We currently have a single speed and are looking to upgrade to a variable speed. I believe the pipes are 1.5”. Any suggestions on Pentair Intelliflo vs the Superflo? To give a better answer, I need more info. What is the HP of your current pump? How long are the current run times? How big is your filter? The current pump is a Pentair Superflo high performance pump, with a replacement generic motor, which is presumed to be 1-1.5 HP. We have a Hayward high rate sand filter, which holds 250lbs of sand. The maximum working pressure is 50 psi. It has a filtration rate of 20 gal/min. All of our PVC pipe is 1.5”. Last season, we ran our pump nonstop 24/7 from May til September. Last year was the first time using the pool since we bought the house the previous Winter, so we are newbies at this. Thanks for all of your assistance! Because your system already has the SuperFlo and has only 1.5″ piping, I would go with the SuperFlo VS 1-1/2 HP. Since I don’t know your actual feet of head, so I’ll just guess at an average feet of head rating of 30-45. That means you could turn over your pool water once in 14 hours a 2000-2500 RPMs. If you install a variable speed, the first couple of week will involve the process of dialing in, when speed and run schedule works best for your pool. For your current single speed, you do not need to run your pool pump 24/7. Most pools only need their water turned over once a day to keep it clean. It may need more depending on bather load. My piping from the two bottom drains is 1-1/2″ coming out then turning into 2″ piping. 2″ piping from skimmer, 2″ piping for (2)1″ eyeball returns. Rough head calcs are 40′ before pump not including fitting or valves. I am looking to purchase a new pump and filter. I am looking at the Pentair SD80 sand filter and trying to figure out a pump. Can a variable speed pump work for this? some are saying the Pentair superflo VS. Or do I need to stick with a above ground pool pump? I would like to get something that is efficient and makes sense. Your feedback would be greatly appreciated. Last fall my pump died and realized after much research that the filter was way undersized for that much water. If there is any other info you may need, let me know. Thanks for your feedback. A couple of questions first. How deep is your pool? I did a pool volume calculator and the results were 25k-28k gallons. I used the usual above ground pool depths of 4 to 4.5 feet. 3′-6″ slope to a 2′ ledge. The pump will be below the waterline. The pool will usually be getting used for about 3-1/2 to 4 months of the year depending on weather. I am not set on a variable speed pump either, just something that makes sense and is somewhat quite. I am also not dead set on the SD80 filter. 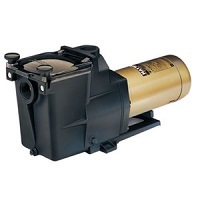 I was also recommended a Hayward S270T2 filter with a 1-1/2hp Whisperflo. I am not sure what brad of filter is better. Some say Hayward is built stronger. Are the internal mechanism the same for either? I am planning to use Dr. Dryden’s active media for the sand filter. As for the pump, I am not fixed on a Pentair either. I am just looking for something that is well built to last, quiet and will work for my pool. A side note: When I was figuring the head I did NOT include any of the return lines. Since I have one by the pump and one on the other side of the pool there would be approx. of 30 feet of 2″ return lines. If a in ground pump is being used maybe head is not as much of an issue. Feet of head really will not come into play because the pump is below the waterline. The pump will have a constant source of water barring your skimmer is clogged. I would stick with the above ground pool pump style. A dual speed should do the job for you. I will look into the Pureline VS and also check out the Dual speed style. Thanks for your assistance with this. Hi-I’m curious about your thoughts regarding a low hp single speed pump compared with a variable speed pump. I live in California and have a simple 23,000-gallon pool, just two skimmers and a sweep (no spa, heater/solar, or water features). I currently have 1.5 hp single speed pump and ¾ hp booster pump and about 40 to 50 feet of head. I would replace with a ½ hp Pentair Whisperflo pump and ¾ booster pump. I’m not sure how to compare monthly energy savings between a ½ hp single pump and a variable speed pump. Especially, considering that the initial investment of the low hp single speed pump is lower than the variable speed pump. Also, my utility company is going to an electricity schedule that will charge extra for use during 12 pm and 12 am in the summer months, which creates an incentive to turn the pool over quicker to avoid the higher rates. I appreciate any thoughts you have. Thanks! The comparison between the motor is going to based on how long you need to run the pump to turn over your water at least once, and how much it costs to run it in that period. For a 23K gallon pool with 50 feet of head, I would not drop down to a 1/2 HP single speed. You are basically guaranteeing you will need to run the pump in that peak price 12 pm to 12 am slot. If you ever have to do any heavy filtering you’re stuck with a weak pump that will take forever to cycle your water. If you do not want to go variable speed, look at a dual speed 2-Green motor by century. But I would go with a the variable speed, because i am pretty sure you get very good rebates in California for switching to a VS.
Also the booster pump doesn’t come into play because it is purely for the cleaner. Hello – I’m looking to replace my current pool pump with a variable speed pump. My current pool pump is a 1 HP, 1.65 SFHP Pentair Whisper Flo (Part O-177450-03). I have 2″ piping. The pool is approx. 34,000 gallons, has a waterfall, 2 returns, 2 drain pipes on the bottom (~8ft. deep) and 2 skimmers. The filter is is a Pentair DE, 180008. Filter area is 48 sq. ft w/ a max flow rate of 120 GPM. Last summer I ran the pool pump 11 hours a day, the pool water stayed clean, and the chlorine remained at the appropriate level using a salt water chlorination system. I was looking at purchasing the Pentair 011018 IntelliFlo Variable Speed High Performance Pool Pump, 3 Horsepower, 230 Volt, 1 Phase – Energy Star Certified pump. Am I over doing it going up to 3 HP? I believe my filter will be able to handle it, I just don’t want to get more power than I need and defeat the purpose of having a variable speed pool pump. If that is too much power, can you recommend a more suitable pump? No, you are not overdoing it by going with Pentair IntelloFlo 3 HP. Especially for a pool of your size, if you ever have to do heavy duty filtering or a chemical treatment, you’ll be happy you have that extra oomph. Your Pentair FNS Plus have the capacity to handle that pump’s output. But the point of having the variable speed is running the pump at as low of an RPM as possible for longer periods. Your filter would rarely be tested to its limits if the variable speed is scheduled correctly. Great post and thank you. An infinitypool in Greece directly exposed to sun about 10hrs a day with 6 months summer and size of approx 40,000 operates today with single speed pump of 3hp. Pump is 2 years old and operates well. Would it make sense to change to variable speed for now? KWh cost in Greece is 0.26c. Overflow runs 9-12 hrs a day in summer 5 months and 6 hrs in winter for 7 months. I was thinking what matters is how many gallons filtered in an hour? If this is the cae going with a lower speed requires more time, is the net impact a saving? I am purchasing a house that has a simple pool without any additional water features or spa etc. A lot of the examples for pump energy savings mention the pros of being able to vary the power depending on when you wanted to power extra features. Wouldn’t I simply run the pool for the amount of time it takes to turn over the water and shut it off? I’m unclear on how this style of pump would be wasting that much energy since it would run for less time than a variable pool. I do understand that the pumps are more efficient at lower speeds, so i suppose for a simple pool that has no features you’d run your pump at the lowest speed almost 24/7? Is a variable speed pump really going to give me that much savings? Yes, as was the point of the article, variable speed motors can provide great savings in operational cost in the long term. The savings come from the RPM and amp draw of a motor not sliding on the same scale. An easy example of this is to look at a dual speed’s amp usage. A B984 motor uses 11 amps on 3450 RPMs and only 1.8 amps on 1725 RPM. The RPMs were cut in half but the amp usage of the low speed is 16% of that of the high speed. The flow rate on low speed will drop to about a fourth of the high-speed flow rate. There are a few ways to set up a variable speed: one constant low rpm, lower RPMs during the day peak electricity hours then up the RPMs at night when they lower at night, or choose the middle of your high and low unfor 10-14 hours. Essentially, this decision is dependant on your preferences and utility prices. I have a 22k IG pool and was built with 2 pumps and 2 DE filters. Primary pump is 2.5hp that runs 8hrs/day for pool and spa and has a SWG (Jandy) for chlorination. The other pump is 2 speed pump (2hp/.33hp) that is for catch basin and waterfall. My negative edge pool creates water going over by wind, thus 2nd pump for basin used to ensure catch basin doesn’t overflow and prevents water loss. Other than that, I turn it on high speed when swimming to keep water in pool. Pool co talked me into buying 2nd DE filter given trees around our pool. My question is in regards to VS pumps. Thanks to helpful info on this site, I calculated my 2 pumps yield 30% of my annual electric usage. THIRTY PERCENT! Wow. And that’s not including my polaris booster pump. I want to replace these pumps given I figure to be in this house at least 10 more yrs. For my 2 stage that runs in low speed 24/7 (unless swimming or turning on water feature), what pump would help ensure DE filter is optimally used? Is there a minimum GPM for DE filters? I have an FNS 48 sq ft. filter. I assume I could get the lowest HP (600 RPM – 1/4hp) and use that mode for majority of time 24/7 and then turn it up when needed. I am struggling to calculate my ROI on this 2 stage pump replacement. The main pump is easier. 7723 kWh/yr = $945/yr in electricity. With VS, I could reduce this to around $357/yr. But the current 2 speed pump? The calculation for VS pump from this site is 1 KWH (avg for VS pumps) and my current usage is .805kW. So, 7051 kWh/yr. So other than swimming, all this 2nd pump has to do is keep a very low flow of water circulating back into the pool from the basin….and cleaning the water. But with a DE filter on the main system, I think I have my filtration covered. I will say that my annual cleaning of the 2 DE’s shows the catch basin much more dirty. Thanks for any advice on the VS pump recommendation. I should also note that I have a Jandy One Touch RS and iAqualink controller. Thank you for your many insights to pool pumps. I am in process of replacing all my mechanicals for my pool. One item I am considering is a variable speed pump. The added cost I have to factor in though is running a 220V line to the pump. Currently 110V is powering all the mechanicals. I’d love to do the variable speed pump but when factoring in $1000-$1500 to run the power and breakers, it’s a hard nut to swallow. 24,000 gallon in ground. 1 HP single speed pump. Sand filter. 250,000 BTU heater. 1.5 variable speed pump. DE filter. 250,000 filter. Convert to salt generator system. First, $1000 seems really steep to install a 220-volt line. A couple hundred bucks to install a couple of lines for the pump, SWG, and heater seems more reasonable. I would try to get a new estimate form a different company. Not knowing your utility costs, pump schedule/ chlorine demand makes giving you an answer on this kind of a guess on my part. But the stuff you have picked out should work well together without much issue. The upfront cost will be high but the longterm should see you save on energy and replacement motors. Sorry. I should have added I live in northern Ohio and our pool is open from mid May to the first of October. Question? What is the easiest way to tell or determine if a pool/spa pump motor is a dual speed? Look on the motor label for the rating that says RPM. If the RPM shows 3450/1725 then it is a dual speed. If the rating only says 3450 then you have a single speed. What is the part, catalog, or model number from the motor label? If you do not have the above, what is the Service Factor (SF) and Amps? Hi Mathew. We’re buildind a new fiberglass pool 11x 22 feet in our backyard and added a pentair water bowl feature. Should we go for a dual speed or a variable pump? Or is the single pump enough? We live in Las Vegas, Nevada. The magic bowl appears to be a waterfall just in a different configuration. All the things mentioned in the article that you need to consider still apply to your application, regardless of the magic bowl. Other questions you need to answer. Do you plan to run the waterfall all the time? Or do you plan to have a way to shut off the waterfall either with valves, automation, or if you want to use lower RPM speeds on a multi-speed pump? Does your area require dual or variable speed pumps for new installations? For the last one you need to contact local utility companies. I have a 40,000 gallon pool with an attached spa in South Louisiana with a 2.0 HP single speed pump. Would it make sense to switch to a variable speed pump? We usually run the pump 8-12 hours a day depending on the time of the year. How much you save and how long it would take to recoup the cost depends on the cost of utility in your area and if rebates are available for the purchase of a new pump. But generally, a variable speed pump can save you a sizeable portion on your power bills even in small pool applications. We have a new 11,000 gallon pool with a pentair superflo vs. what rpm should this be set at? The pool company set the perimeters and I was wondering if they did it properly? Our pump sounds so loud. As stated in quite a few of my comments above, setting the RPM for your pool pump depends on the pool size, feet of head, pump model, and chlorine demand. For the short version since it is already installed, try lowering the RPMs by 300 – 500 RPMs and see if it affects the water quality. If not, lower it some more. If your water quality is affected try to find the middle ground between original and your adjusted setting. Since the Variable speed pumps use a TEFC motor, does this mean they can essentially cavitate and run dry without overheating? If not how long can the motor be run dry before damage occurs? I can understand that a VFD or 2-speed pump might lower costs, but I don’t understand how. If it isn’t doing anything other than turning over the water in the pool, unless there are time-of-day electric rate differentials, wouldn’t it be just as efficient to use a smaller pump and run it at a constant rate than to use a VFD? (Our vacuum runs on a separate pump.) Except to take advantage of a time-of-day rate differential, when would the pump need to run at higher or lower rates? I’m interested in some savings, but I’m not sure I can justify it, or even figure out how to calculate it. The ability to avoid peak hour price surges is a perk; but also remember, lowering a motor’s RPM also decreases energy usage. We cover this subject and the Law of Affinity in the section titled “Why do dual speed and variable speed pumps cost less to operate?” Cutting a motor’s RPMs by 50% lowers the energy use by around 75% or more. If you decide to go with a lower HP single speed pump, then you’ll still be pulling more amps than if you had gone with the larger dual speed, and run it at the lower setting. How would a variable speed pump help if my single speed pump can barely push an adequate volume of water through 3 water features? First, thanks for all the info! I am installing a 24′ round above ground pool. They have specified a Hayward SP1580 pump which will be mounted below the water level. I am getting a robotic dolphin cleaner which runs on electric, not water flow. I live in PA and my electricity rate is about $0.09/kW.. Are there any benefits to having a VS or DS pump installed? How Much Does My Pool Pump Cost to Run?